Incumbent Juan Manuel Santos can not stand after two terms. 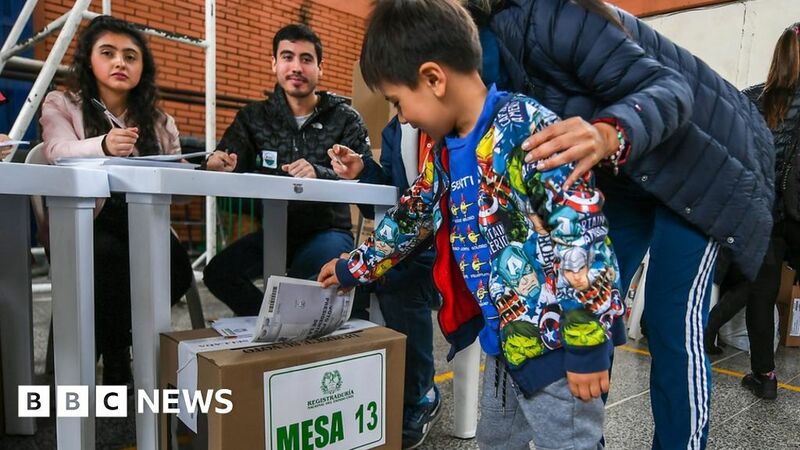 The main contenders are the conservative Ivan Duque, who opposed the peace agreement, and Gustavo Petro, ex-guerillero and former mayor of Bogota. It is not expected that 50% of the votes will be won on Sunday. in this case, they will face each other in a run-off in June. At 16:00 local time (21:00 GMT), the surveys were completed and counting began. 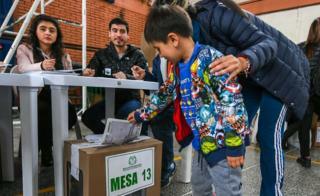 To cast his vote in the capital Bogota, President Santos praised the peaceful atmosphere in which the elections took place. "For security reasons, not a single voting station had to be relocated," he said in a televised address. "It has been many decades since that happened, in other words, these elections will be the safest, the quietest." President Santos, a center-right politician, tried to end the decades conflict with the Revolutionary Armed Forces of Colombia (Farc), the country's main guerrilla group. The peace treaty signed in 2016 was reached after years of negotiations. But it was considered by many voters to be lenient and rejected in a referendum. A revised agreement was approved by Congress later that year. Mr Duque has promised to reverse some of the provisions of the Agreement when he becomes President. He is an ally of former President Alvaro Uribe, who led the campaign against the agreement. Mr. Petro, who goes back The deal would be Colombia's very first leftist president, if elected. In the 1980s he was a member of the rebel group M-19, which in 1990 dissolved into a political party. Correspondents say voters are much more concerned about economic problems in the face of the biggest civil war. The candidates have been particularly interested in issues such as inequality, unemployment, housing and corruption. About 100 international observers watch the elections.